Volume on promotional items are subject to availability and depot manager discretion. 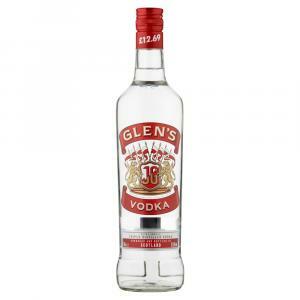 Glen's vodka is distilled in Scotland from sugar beet launched in 1972. It boasts a clean finish with faint traces of lemon. Perfect for mixing.